I travel on a NZ passport and have lived in the UK since 2006. 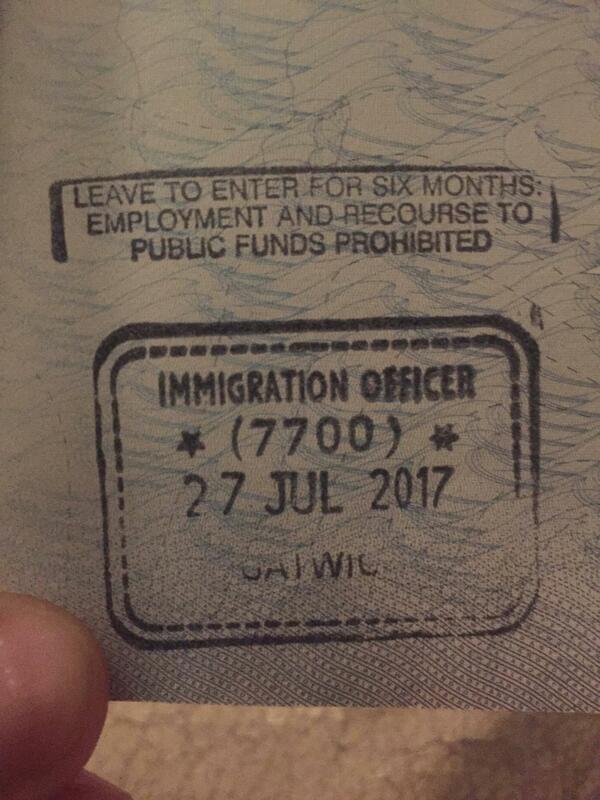 I travelled to Canada in June 2016 to begin a 2 year Canadian working visa but on a trip back to the UK in July I received a 6 month visa stamp in my passport despite having an Indefinite Leave To Remain Visa in my old passport (I haven't got a biometric card yet but plan to apply for one before I return to the UK to live. What should I do about this? I'd contact the Duty CIO or HM Inspector at Gatwick and explain the error to them. You will be called back to Gatwick and the endorsement will be amended. The Home Office Referred Casework Unit at Lunar House only deals with entry clearance/ visa amendments but the incident happened at the Port of Entry and therefore you need to contact Border Force at Gatwick. Next time make sure the IO looks at your expired passport and endorses the free standing date stamp with VIPP. Not the answer you're looking for? Browse other questions tagged uk customs-and-immigration passport-stamps uk-residents or ask your own question. Do British citizens implicitly have Indefinite Leave to Remain?